I’ve had a few things on this month with Top Floor Taivers. I love the varied work that we get to experience. Have a read of what we’ve been up to. Last Sunday June 26th we were playing at the Royal Highland Show in Ingliston. This was our third time to play at it and we were delighted to be back. We were doing something a little bit different this time: hosting some childrens workshops as part of the Royal Highland Education Trust. This took place indoor at the Education Trust centre, which we were quite thankful for as the weather that day turned out pretty showery! Also taking place in the centre was cookery and nutrition classes, among many other activities for youngsters, so the centre was full of parents and kids of all ages. 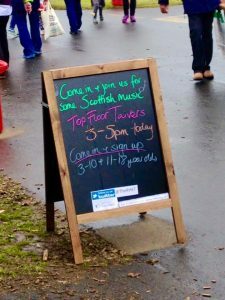 We held three workshops altogether, in which we performed some our music, talked to the children about Scottish music and introduced our instruments. We really enjoyed interacting with the kids, asking them questions about our instruments, our favourite reply, when asked “what are harp strings made from?”, was “cats whiskers!”. At the end of each workshop we had a “come and try” session where we allowed the kids to come try our instruments. This was great fun and there was lots of interest in each instrument. 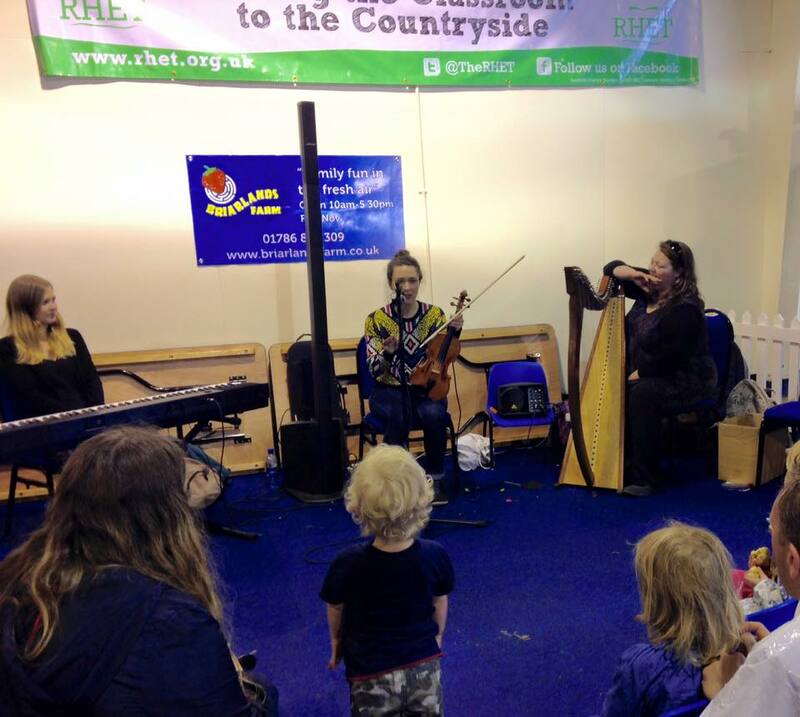 We hope we inspired some future musicians!